On a daily basis we receive feedback from all of our amazing users. We highly encourage all of our users to share their feedback with us so we can continue to make eClincher better. Over the past few weeks we have been working very hard to bring many of your requests to life. We are happy to announce seven new additions to eClincher that are a direct result of your requests. If you recommended any of these new features, thank you so much! Twitter and Facebook move at an alarming speed. Consider that on average 55,000,000 status updates are sent per day on Facebook or that the average lifespan of a tweet is only 18 minutes. Simply put, Twitter and Facebook are all about real-time interaction. One of the most requested features we received was to make the Twitter and Facebook feeds live, meaning they would be updated automatically and display how many new tweets and updates are available to read. We absolutely loved this request for a couple of reasons. The first reason being that it makes your life easier, which is our number one goal. The second reason is that it shows a shift in how eClincher is being used. Many of you are now using eClincher as your sole method of managing your social presence. With this comes a need for real-time updating. As of today, your Twitter and Facebook feeds are now live. When new tweets and updates become available, we will let you will see the number of new tweets and updates at the top of your feed. All you have to do is click on it and your feed will refresh to show the new items. A few months ago Facebook removed the ability to post to groups from all tools. Immediately we began hearing from customers how important group posting was. Determined to find a solution we reached out to Facebook directly to see if we could have access to group posting. We are happy to announce that you can now post to any Facebook Groups that you created or have administrator access to. Though this solution does not allow posting to all groups, it should make it much easier to post updates to your most important groups. To see what Facebook Groups you can now post to, visit your New Post or Auto Post tabs. With the introduction of Auto Post and Bulk Upload, many of you completely changed your posting habits. What used to take hours now takes minutes. This means many of you are now uploading and sharing more posts than ever, which is so exciting! What isn’t exciting is having to delete old posts one-by-one. Many of you have asked for a more efficient way to manage your queues, so we got to work developing a solution. We are happy to announce Bulk Actions, which will allow you to select multiple posts in a queue and quickly delete them. You will find Bulk Actions in your Auto Post and Draft Post tabs. We take customer support very seriously and want to be able to resolve any problems or answer your questions as fast as possible. Until now, the best way to get help was to email us. We haven’t heard any complaints about this method, but we wanted to make it even easier for you to connect with us. We are happy to announce that you can now contact us directly from your eClincher dashboard. In the bottom right hand corner of your dashboard there is now a Live Chat option. The next time you are having a problem, need an answer to a question or just want to say hello, simply shoot us a message using Live Chat. We will have a dedicated team monitoring any incoming Live Chat messages during work hours, meaning you can expect a response in nearly real-time, because we know how important every minute of your day is. A couple months ago we introduced the ability to Bulk Upload posts, meaning you can upload hundreds of posts from a CSV file or an RSS feed with the click of a button. After speaking with many of you, we realized the process of bulk uploading RSS feeds could be more intuitive. We have been working really hard to consistently improve Auto Post. One of the most time consuming tasks was setting up your initial schedule. Though it saves you a lot of time in the long term, it was very time consuming to set up initially. After a lot of work we have come up with a faster way to set up your Auto Post schedule, called Auto Scheduling. You can now automatically setup posting intervals for your updates. Instead of adding times one-by-one, you can now add up to 288 scheduled times at once. Quick Tip: Be mindful when using this powerful tool and choosing the frequency of your posts. Posting too frequently may anger your audience. Twitter introduced verified accounts to make it easier for users to users to ensure an account they are following is authentic. For example, anyone could create a Twitter account stating that they are Barack Obama. Without verified accounts this person could then cause a lot of problems since people would assume it is actually the President of the United States. Twitter users are now used to checking for the verified badge to verify the authenticity of famous individuals and brands. That is why we decided we had to add it to eClincher. You will now be able to check if a person or brand has a verified account, without leaving eClincher. Simply click on a user’s profile picture and you will be able to check if they are verified or not. Let’s not stop here! If you have a suggestion for an improvement to eClincher, contact us or comment directly under this post. 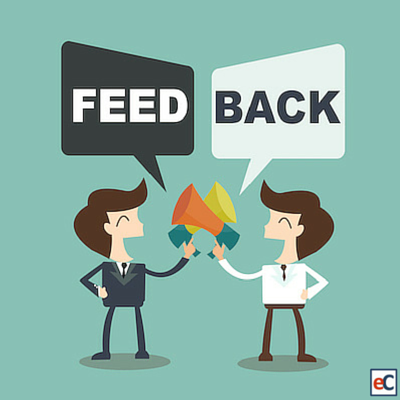 We value your feedback and know that together we can make eClincher the best social media management tool in the world. Thank you in advance and we look forward to hearing from you soon.